A new report from the Government Accountability Office is sounding the alarm about the Air Force’s ability to fully field several key legacy fixed-wing aircraft in its fleet. Three of the five Air Force planes GAO studied — the B-52 Stratofortress bomber, the C-17 Globemaster transport aircraft, the E-8C Joint Surveillance and Target Attack Radar System, and the F-16 Fighting Falcon and F-22 Raptor fighters — experienced declining availability rates between fiscal 2011 and 2016, according to the report released Monday, “Weapon System Sustainment: Selected Air Force and Navy aircraft generally have not met availability goals, and DoD and Navy guidance need to be clarified." However, GAO did not say which aircraft saw declining availability rates in the public report because it was deemed sensitive information. 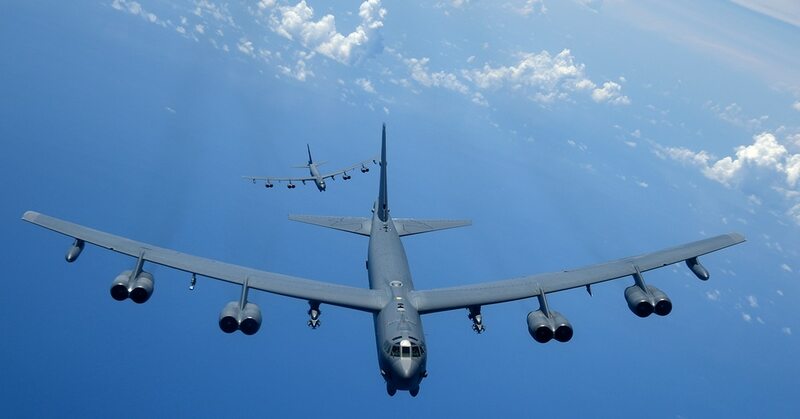 Operating and support costs increased for two Air Force aircraft, the B-52 and E-8C, while declining for the other three planes, according to GAO investigators. Maintenance costs, which make up the largest share of expenses, also increased overall during that period for four Air Force aircraft, the C-17, E-8C, F-22 and B-52. All five Air Force planes GAO studied are having problems due to the aging of the aircraft, and maintenance and supply support, GAO said. Each of those planes are challenged by delays in depot maintenance and diminishing manufacturing sources. All but the F-16 are having problems with unexpected need for repairs and replacement part. The B-52 and E-8 are having trouble with parts becoming obsolete. The F-16 — which began flying in 1979 and is expected to keep flying until at least 2040 — is also having trouble with delays in acquiring replacement planes, GAO said. Because the airframe is aging and flying longer than originally intended, some F-16 parts need to be repaired and replaced that weren’t accounted for during the plane’s initial sustainment analysis. The F-22 has a shortage of depot-level maintenance personnel. GAO said both the Air Force and the Navy have lost experienced maintainers in recent years — in the case of the Air Force, a major culprit was the massive 2014 drawdown — and the services are trying to train more maintainers and improve the efficiency and speed of depots. An Air Force Times analysis in March of Air Force aircraft availability data found mission-capable rates have steadily ticked down in recent years. In fiscal 2017, 71.3 percent of all aircraft were ready to fly missions at any given time — the continuation of a downward trend that has alarmed experts. Some experts told Air Force Times they fear that having fewer aircraft available to fly will worsen the pilot retention crisis and make it harder for the Air Force to convince pilots to stay and not accept lucrative jobs in the commercial airline industry. The Air Force has documented its sustainment strategies for the five planes, and updated them as required, according to the GAO. It has also regularly reviewed its sustainment metrics for fixed-wing aircraft, and put into place plans to improve aircraft availability, the report said. For example, the Air Force has a plan to replace actuator seals for its fleet of B-52s, and replace the legacy computer system of C-17s with a modernized system and display, the report said. GAO recommended the Pentagon issue or update new policy clarifying its requirements for documenting sustainment strategies for legacy weapons systems, including fixed-wing aircraft.